The back cover blurb is a bit of a review in itself, but not much of a give away on the plot or characters. Ondaatje’s novel provides insight into the life of immigrants in Canada during the early 20th century and takes the reader on a fragmented journey through memory and place. Multiple story lines and focalisations create a jigsaw of a narrative that unfolds itself slowly unravelling unique and in-depth personas. The novel explores the nature of memory and the recording of history, change – social and otherwise, violence, love and dreams. In addition, postcolonial themes such as voicelessness, power and issues of identity and nationality are also strong undercurrents. 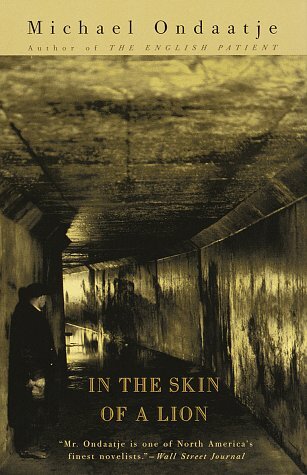 Another enchanting and poetic novel by Michael Ondaatje, In the Skin of the Lion is actually on the HSC prescribed text list for Advanced Module B.